Despite enormous progress in reducing poverty over the years, Uganda remains one of the poorest nations in the world. The poorest people live in rural areas where remoteness, health and social issues contribute to the poverty. Women living in rural areas are at a particular disadvantage and they work much longer hours than men on average. They are not only responsible for maintaining the farm's agriculture, but they ensure that food, water, clothing and firewood are provided to the household. They also care for the sick, elderly and orphaned children. When it comes to human rights, there are many areas which are cause for concern in Uganda. The rebel Lord's Resistance Army (LRA), led by Joseph Kony, has been accused of severe brutality. Child labour and trafficking is common. Many children are forced to work in agriculture or as child domestic servants, where they are at risk for sexual abuse. The UN estimates that 20,000 children have been abducted by the LRA - boys are forced to become child soldiers, girls are taken as wives and forced into sexual slavery and early motherhood. Although Uganda has been able to significantly reduce the incidence of HIV/AIDS among its population, approximately 1 million children have been orphaned as a result of this pandemic. OFA has one partner in Uganda: Child Support Ministries Africa (CSMA), who are based in Kampala and Tororo. Click logo to visit CSMA's website CSMA had its beginnings in 2005 as a community-based initiative to help five children who had lost their parents to HIV/AIDS. Donations from members of the community were able to provide school uniforms and supplies as well as general support for the five orphans. Within a short period of time, it had become clear that there were many more orphaned children in the community. After losing one or both parents, an orphan would lose support for basic necessities. They would have no access to education, risked being forced into child labour, they would be vulnerable to sexual abuse, HIV/AIDS exposure and forced into early marriage. Anthony Yakobo Executive Director Child Support Ministries Africa is currently working in the Kamwokya slums in Kampala City and in the Tororo district of eastern Uganada. 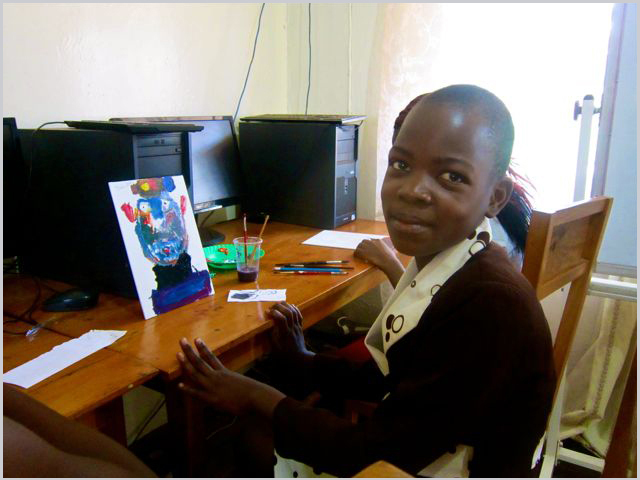 Support is provided to orphans, vulnerable children and disadvantaged youth in various ways including education, computer skills and vocational training, sponsorship and support, talents development, spiritual teachings and HIV/AIDS care. Through OFA's child sponsorship programme children and youth are receiving a quality education. Sponsored children are attending private Christian boarding schools and most are scoring at the top of their respective classes. Computer Training Center and Internet Café Through the Micro-Enterprise Program, OFA has assisted Child Support Ministries Africa with their vision to open a Computer Skills Training Center and Internet Café in the Kampala area. Every year children and youth are learning computer skills that will literally transform their lives and give them a hope-filled future. Over many years OFA has provided funding to purchase new computers as well as computer supplies. CSMA has recently expanded the Computer Skills Training Center/Internet Café program into Tororo and in the future hopes to expand into Gulu, in northern Uganda. Girl-Child Empowerment Program In April 2013, the Girl-Child Empowerment Program was launched. The program seeks to empower young girls through formal education and vocational skills training so that they can become self-supporting and live a dignified life. CSMA is hoping to start the "Bright Future Scholarship Fund" for disadvantaged girls. The scholarship will enable teenage girls who have dropped out of school due to lack of financial support, to complete high school and attend college or university. Rural Poverty Portal. Rural Poverty in Uganda. http://www.ruralpovertyportal.org/country/home/tags/uganda (accessed Sept. 24, 2013). The World Bank. 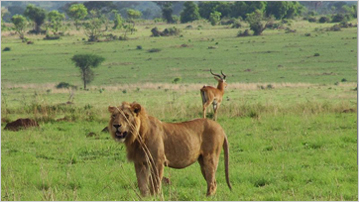 Uganda. http://data.worldbank.org/country/uganda (accessed Sept. 24, 2013). Wikipedia. Uganda. 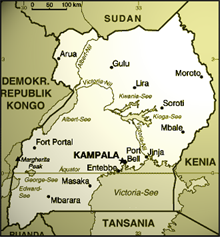 http://en.wikipedia.org/wiki/Uganda (accessed Sept. 24, 2013). UNAids. Uganda. http://www.unaids.org/en/regionscountries/countries/uganda/ (accessed Sept. 24, 2013). Unicef: Childinfo. http://www.childinfo.org/hiv_aids_orphanestimates.php (accessed Sept. 24, 2013). 85% of Ugandans live in rural areas, 40% of which live in abject poverty. The average yearly income is $440 US. Uganda is home to 35 million people with an average life expectancy of 58 years. 1.4 million Ugandans are living with HIV. There are 2.6 million orphaned children between the ages of 0-17; 1.1 million as a result of HIV.